Caledonia Dance Studio in Caledonia. 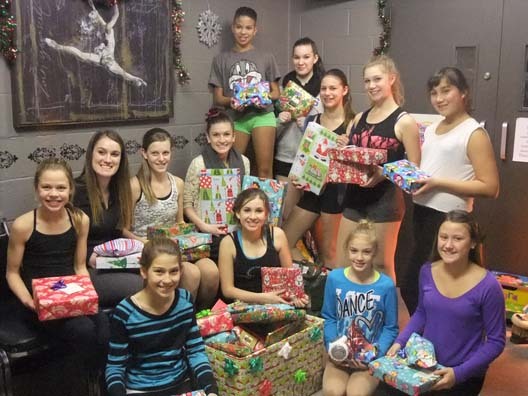 Families of the dancers donated money, which was used to purchase items for a Christmas dinner, grocery items and toys to fill a family wish list. Seen in the picture are some of the dancers at the studio.